Scents of the season Send a message in a bottle with a new fragrance Do you know your fragrance personality? Everybody has one but figuring it out requires more than just a nose, it also involves an emotional reaction to what’s inside the bottle. When it comes to giving the gift of a signature scent, choosing the right bottle is an art form. Look to the receiver’s wardrobe for inspiration. If ladylike dresses and pointy pumps are her outfit of choice, try a classic floral scent or a crisp citrus blend. If she prefers her jeans with a leather moto jacket, a dark, moodier fragrance (think musk or amber) is right up her alley. If she can spot the difference between a Marc Jacobs Classic Q bag and a New Q, she deserves the latest designer fragrance from Paris or Italy. For the guy who is rarely without his headphones, a spicy rock ‘n’ roll-inspired scent that incorporates black pepper, leather or tobacco is a sure bet. Or if, come the weekend, he switches his suit and tie for tennis shoes, a fresh lavender or bergamot-infused formulation will win hands down. Don’t discredit the importance of packaging. One of the best parts of a fragrance is the design of the bottle, which for many interior lovers have become “objets d’art” worthy of being put on display. 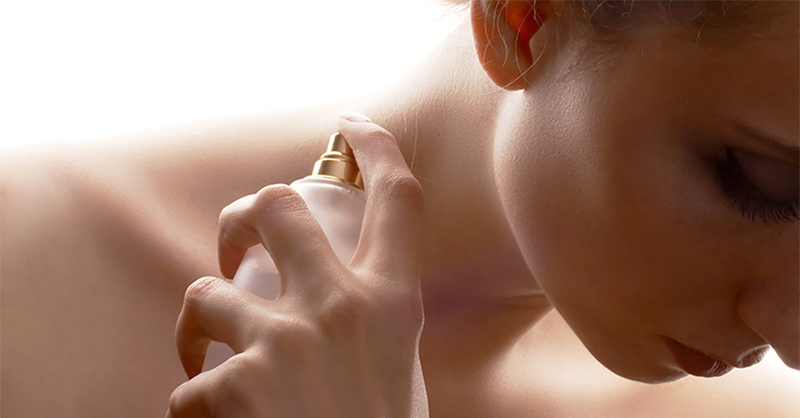 Picture their bathroom or vanity table when picking out the right aroma. A fragrance for the home is one way to create a welcoming atmosphere for an entire room. Choose the scent based on a fragrance family from woody, floral, fruity, spicy and more or select one based on the mood you are trying to instill. Tips and Tricks *Scent lasts longer when layered, so double up and get the most bang for your buck by adding in the matching lotion or shower gel. *Your nose gets used to your signature fragrance, meaning you often don’t notice your perfume unless it’s freshly applied. Don’t go overboard on the number of spritzes to compensate—others can pick up on your scent, even if you can’t. Did you know? French perfumer Jean Carles, the man behind such legendary scents as Miss Dior, was said to have his nose insured for one million dollars.